Complete Recourse & Non-Recourse Loan Monetization of Owned Blocked Funds for the intention of Project Funding. We never require our clients to pay upfront fees for monetization and are only compensated when a project is completed. This is the agreement that we contractually have with our clients and the Hanson Group. 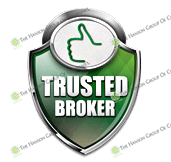 Through an Owned Blocked Funds, we can monetize this and provide you with a loan, through careful negotiations with an attorney-trustee office in the USA. This is a loan that you will very seldom have to pay back, and if you do end up having payments, they will be at a low rate. our clients will receive their funds from an attorney trust IOLTA federal bank account with a legal opinion so our clients won’t have to deal with problems on the released of their funds with their local banks. Bank SWIFT – Blocked Funds will be delivered to the Bank using SWIFT MT760. Blocked Funds must come from World Top 100 Banks with a minimum amount of 10 Million in USD, GBP, or EUR, and the maximum amount of 500 Million. In our contracts, the Monetizer must switch the owned and issuing bank at least fifteen days before the Blocked Funds expires. 65 % Rated Bank – Non-Recourse Loan Block Funds Monetization. this loan has a lower LTV but you don’t have to pay back. 80% Rated Bank – Recourse Loan Block Funds Monetization. This loan has an interest between 2% to 7.5% per annum and can span up to ten years in length. Note: 5% commission is paid out on all Loans. Up to two weeks after the paperwork is completed or a week after the instrument is SWIFT delivered. The loan is disbursed in 12 months. Once the MT-760 is authenticated, three weeks later 20 percent of the loan will be disbursed. A month after the original disbursement 20 percent more will be given. Finally, the last 60 percent of the loan will divide over the ten month period and will occur monthly. Once the contract is signed by both parties, the client directs their institution to send SWIFT MT760 to the monetizer’s bank. Once SWIFT MT760 is received, there only have a week to give the recourse or non-recourse loan for the LTV. The Blocked Funds must be returned 15 days before the year is out on the contract. Blocked Funds RWA Letter (Download Below). Fill Out the Non-Recourse or Recourse Loan agreement and email to: helpdesk@thehansongroupofcompanies.com. Accepted: The Blocked Funds MUST be delivered by SWIFT MT760 and from a Rated Bank. Rejection: Forbidden Assets and Financial Instrument Providers List. Loan 1st Disbursement: €15,200,000.00 20% of the loan in 21 days after received and authentication of the MT760. Loan 2nd Disbursement: €15,200,000.00 20% of the loan 30 days after the 1st disbursement. Loan 3rd Disbursement: €4,560,000.00 30 days after the 2nd disbursement. Loan 4th Disbursement: €4,560,000.00 30 days after the 3rd disbursement. Loan 5th Disbursement: €4,560,000.00 30 days after the 4th disbursement. Loan 6th Disbursement: €4,560,000.00 30 days after the 5th disbursement. Loan 7th Disbursement: €4,560,000.00 30 days after the 6th disbursement. Loan 8th Disbursement: €4,560,000.00 30 days after the 7th disbursement. Loan 9th Disbursement: €4,560,000.00 30 days after the 8th disbursement. Loan 10th Disbursement: €4,560,000.00 30 days after the 9th disbursement. Loan 11th Disbursement: €4,560,000.00 30 days after the 10th disbursement. Loan 12th Disbursement: €4,560,000.00 30 days after the 11th disbursement. Loan 1st Disbursement: €12,350,000.00 20% of the loan in 21 days after received and authentication of the MT760. Loan 2nd Disbursement: €12,350,000.00 20% of the loan 30 days after the 1st disbursement. Loan 3rd Disbursement: €3,705,000.00 30 days after the 2nd disbursement. Loan 4th Disbursement: €3,705,000.00 30 days after the 3rd disbursement. Loan 5th Disbursement: €3,705,000.00 30 days after the 4th disbursement. Loan 6th Disbursement: €3,705,000.00 30 days after the 5th disbursement. Loan 7th Disbursement: €3,705,000.00 30 days after the 6th disbursement. Loan 8th Disbursement: €3,705,000.00 30 days after the 7th disbursement. Loan 9th Disbursement: €3,705,000.00 30 days after the 8th disbursement. Loan 10th Disbursement: €3,705,000.00 30 days after the 9th disbursement. Loan 11th Disbursement: €3,705,000.00 30 days after the 10th disbursement. Loan 12th Disbursement: €3,705,000.00 30 days after the 11th disbursement. For Blocked Funds MT760 Wording Sample Click Here! Download the Owned Blocked Funds RWA Letter Here! Download the Owned Blocked Funds Monetization Application & Agreement Here! Download the Recourse Loan Agreement Here!